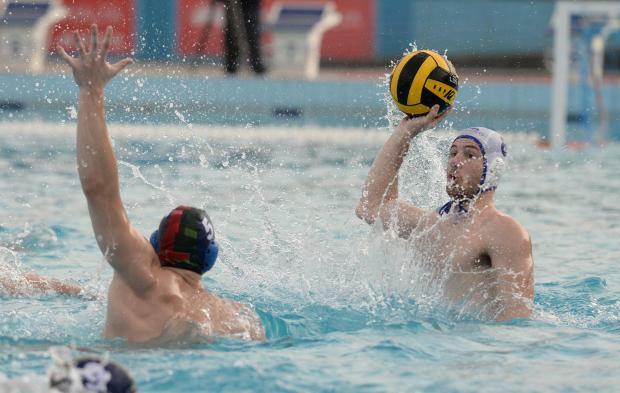 The Malta waterpolo national team booked their ticket to the 2018 European Championship finals after brushing aside Belarus at the National Pool to complete a 23-17 aggregate win. It was a commanding performance from Karl Izzo’s men who inspired by their skipper Steve Camilleri, scorer of five goals, and Matthew Zammit, who helped himself to four goals, outplayed the Belarussians for large parts of the match to ensure their place in the continental finals for second successive time after making their debut in Belgrade four years ago. Needing to overturn a one-goal deficit from last week’s first leg, the Maltese came out firing in the opening session. The home side looked well drilled in the opening eight minutes. Steve Camilleri and Matthew Zammit made their presence felt in the Belarus end when helping themselves to a brace each while Aurelien Cousin added another one from the distance to give the hosts a comfortable three-goal buffer after the first session, 5-2. In the second session, the Belorussians stepped up their game with the Maltese seemingly losing their first-session brilliance and their skipper Aleksey Kuzmenko managed to bridge the gap to just two goals with less than a minute left, 7-5. However, Jeremy Abela procured a last-gasp penalty which the ever-reliable Steve Camilleri converted to preserve Malta’s three-goal advantage when ends were changed. The third session saw the Maltese recover their poise with Matthew Zammit firing a well-taken brace with Dino Zammit, Aurelien Cousin and Steve Camilleri also hitting the target as the hosts stretched their advantage to 13-7 with only one session to go. In the last session, the Belorussians tried an unikely comeback and goals from Vadzim Velichka and Aleksey Kuzmenko set up cut the gap to five goals – 14-9. But Cousin and Steve Camilleri eased the hosts nerves with late goals to seal a historic qualification for Malta.